This comprehensive tutorial explains Kodi 17.1 install from zip method. For your understanding, we will be showing you how to install two of the most popular Kodi 17.1 add-ons, Phoenix and Exodus from zip in this tutorial. The process of installing any other add-on or build from zip is the same as described in this tutorial. For those who don’t know about Phoenix, it is a classic Kodi add-on. It is one of the top Kodi add-ons of all times. Kodi Phoenix add-on allows you to watch literally anything you want on any device running Kodi. Phoenix has a lot of contributors which results in it being always updated with a ton of content for you to watch. You can find content from all categories such as sports, movies, shows, music and even live TV channels. The new Kodi 17.1 Krypton has so far been working without any issue with Phoenix add-on. If you have any questions, check out the KFire home page or KFire TV YouTube channel for more Kodi tutorials! 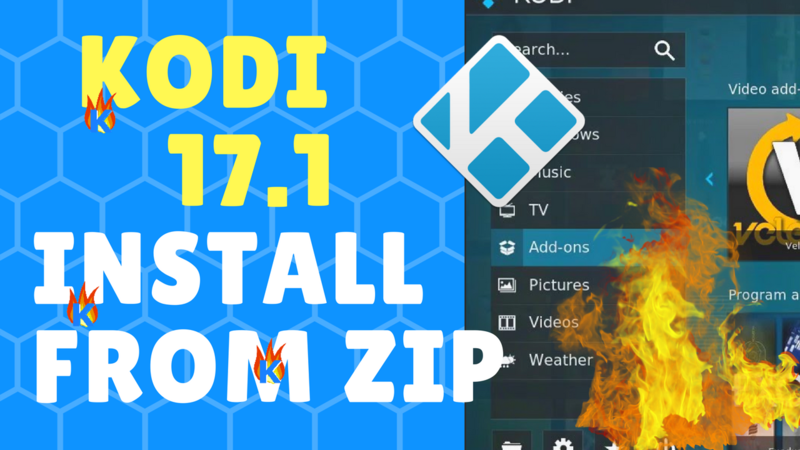 This comprehensive tutorial explains Kodi 17.1 install from zip method. For your understanding, we will be showing you how to install two of the most popular Kodi 17.1 add-ons, Phoenix and Exodus from zip in this tutorial.